Pluto is a dwarf planet, it is no longer the member of planets since 2006. 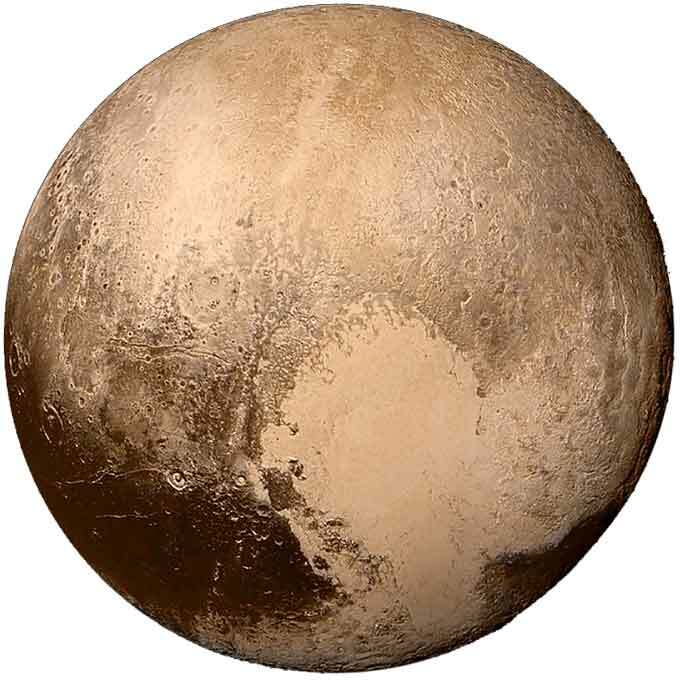 However, Pluto was considered a planet since its discovery in 1930, by Clyde Tombaugh. Because scientists have found many planet-like bodies similar to Pluto, so there was a need for defining the term “Planet”. In 2006, IAU (International Astronomical Union) defined the official definition of a planet in which Pluto didn’t qualify as a planet. Pluto was then moved to other class known as “Dwarf Planet”. 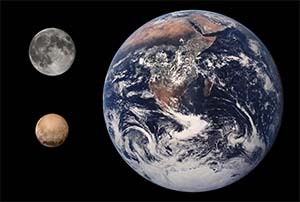 Pluto is smaller than planet Mercury, even smaller than the Earth’s moon. Pluto has very different orbit than other 8 planets. Its orbit is very elliptical (egg-shaped) and tilted from the plane of 8 planets orbit. It is closer to Sun than Neptune (the eighth planet) at some portion of its orbit and farther than 8 planets during rest of the orbit. Pluto completes its one revolution around the Sun in 248 Earth years, while its day length is 6.4 Earth days. Pluto is so cold that nitrogen itself becomes solid which makes its atmosphere extremely thin. But slight changes in Pluto’s temperature can increase its atmospheric density up to a quarter of Earth’s atmosphere. Pluto has a wide variety of geological features, its mountains are 3,500 meters high. Pluto’s most surface is covered with Nitrogen and methane ice. The surface of Pluto is covered with 98% of Nitrogen ice and a small percentage of methane and carbon monoxide. 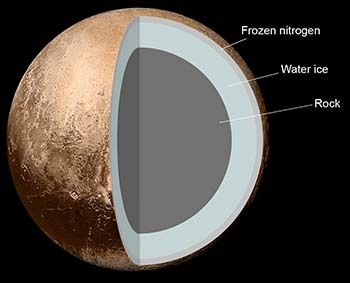 Scientists think that Pluto has a rocky core surrounded by the water ice mantle and a crust made of frozen nitrogen. After the discovery of Neptune scientists had found the changes in the orbits of Neptune and Uranus, so they thought there may a planet beyond the Neptune which is causing the changes in the orbits. They named this Unknown planet as “Planet X”. Clyde Tombaugh, a 23-year-old astronomer was assigned the job of locating the Planet X. Nearly one year of searching, he finally found the position of the new planet and named it “Pluto” on the suggestion of an 11 old girl “Venetia Burney”. After the discovery of Pluto, there was no close-up view of Pluto. Scientists had only pixelated images of Pluto captured by ground telescopes to study. Even the most clearer images provided by the Hubble telescope were not able to define the features of Pluto because Pluto is very small and farthest object than other planets. 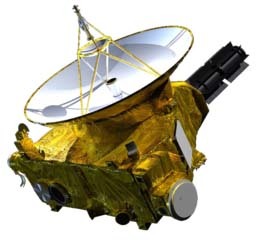 To directly explore the Pluto NASA had launched a spacecraft named “New Horizon” in 2006. New Horizon reached closer to Pluto on 14 July 2015 and for the first time, the clear images of Pluto were observed. New Horizon has opened the new doors of scientific studies on Pluto. Abdul Wahab, "Pluto," in Science4Fun, April 13, 2019, http://science4fun.info/pluto/.